Now you can easily Install TWRP Recovery and Root OnePlus 5T. The OnePlus 5T is the latest flagship device which launched recently. The phone already available in the market and if you bought the phone and looking for a way to Root OnePlus 5T then you are in the right place. Here we share how to Install TWRP Recovery and Root OnePlus 5T. First, you need to install TWRP Recovery on OnePlus 5T and then flash SuperSu to Root OnePlus 5T. Recently, TWRP recovery got updated with material designed to TWRP 3.2.0. That means you can install the latest TWRP 3.2.0 on OnePlus 5T. Follow this guide to Install TWRP Recovery and Root OnePlus 5T. Official TWRP for OnePlus 5T is now available so you can download the official one or the modified Bluespark TWRP. So here is the step by step guide to Root and Install TWRP Recovery on OnePlus 5T. Read the below note carefully before you Install TWRP Recovery and Root OnePlus 5T. 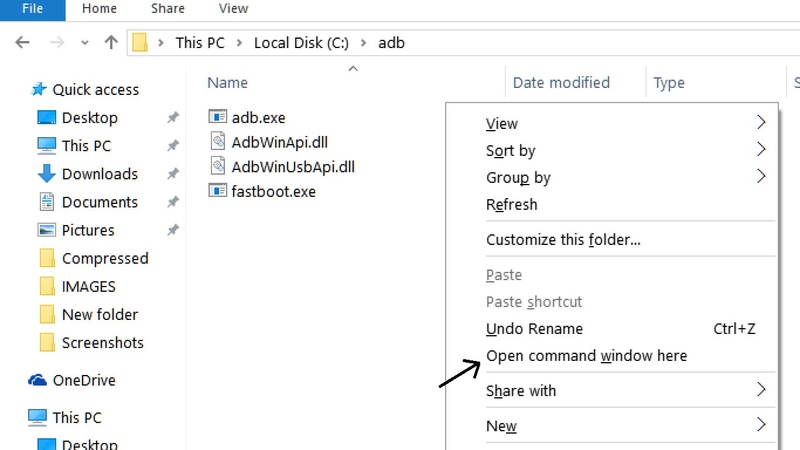 2) Now go to installation directory open ADB folder and open the command window thereby pressing and hold the ‘shift’ key and right-click anywhere in that folder. 6) Now boot into recovery by using the Power+Volume Down button or use the below command. 7) Now follow below steps without leaving TWRP. 1) With above command your phone boot into the recovery mode. 2) Now select your preferred Language and set it to what you want, tap “Never show this screen on boot again”, and Swipe allow modification. 3) Now from the main menu navigate to Install Zip and select SuperSU and Swipe to flash n the zip. 4) Now Wipe Cache/Dalvik Cache. 6) That’s it, your OnePlus 5T root successfully. 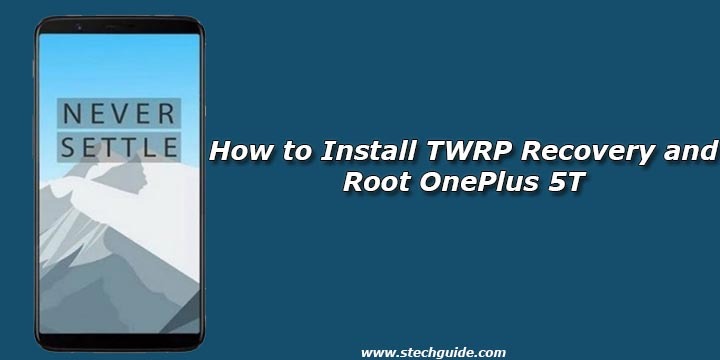 So this is the complete guide of how to Install TWRP Recovery and Root OnePlus 5T with easy steps. If you have any questions, then comment below. Stay connected with us via Facebook, Twitter, and Google Plus to read more such helpful posts.